LAST MONTH the consumer price in Turkey rose to 1.06 month-on-month, meaning the country’s inflation rate hit 20.35%. 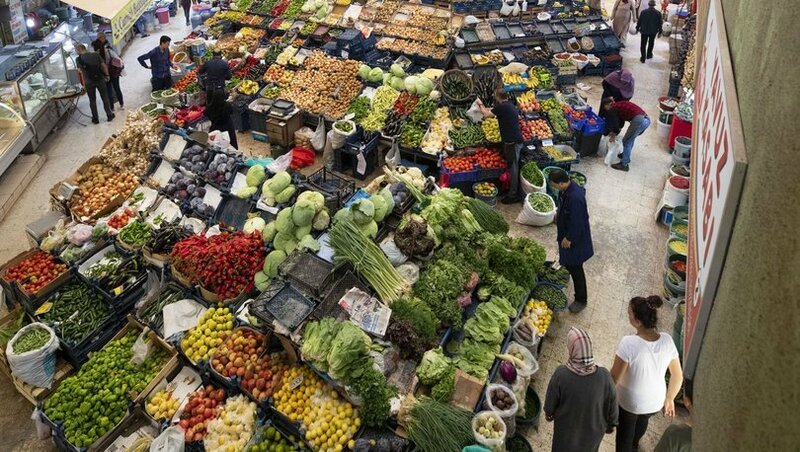 The figures are being released by the Turkish Statistical Institute, also stating that the inflation rate in December was at 20.30%. According to the 12 total averages, inflation has risen to 17.16. Food and non-alcoholic beverages ranked first with a 6.43 increase. Meanwhile, the annual food inflation increased to 30.97. The highest monthly drop was in the garment and footwear sector with 7.95%. According to the 12 total averages, the inflation has risen 17.16 in Turkey. The indices rose for miscellaneous goods and services 3.62%, for health 3.56%, for recreation and culture 3.18% and for hotels, cafes and restaurants 1.07% in January. Previously the January inflation rate was expected to be between 0.8-1. In December consumer prices fell 0.4 and the annual inflation rate for consumer price was at 30.35 while the PPI was at 33.64. The January PPI occurred at 32.93, meaning PPI indices increased by 0.45 month-on-month. Turkey’s new economic program announced in September 2018, the inflation rate target is 15.9% this year, 9.8% next year and 6.0% in March 2021. The last time the inflation rate was at this low was a decade ago when it was 3.99% in March 2011, while it was at its highest at 25.24 % in October 2018. The dire deprivation that hit the Turkish Lira last year skyrocketed the inflation rate, inflation is believed to be rising due to the struggling Turkish economy. The Turkish Central Bank has promised that they would not to reduce rates until it sees a convincing slowdown in price growth.